We try to find the best books for boys and I have to say if I had to pick one pirate book and one pirate book only I would choose this title. If your boys are all about pirates you should check out this title. The book is very detailed with a lot of relevant information. The pictures and images, of which there are many, are very well done. I’m not sure about you but my son went through a big pirate phase. Finding quality books for him was a bit of a struggle. He went through all the books at three local libraries and we moved on to Interlibrary loan and book sales. This is the book I wish we had found when he was in his pirate stage. Philip Steele doesn’t talk down to kids as many authors of books for children do. Great words are bandied about and the phrases he uses make you feel like you are there. Just thinking about his “rats scampered in the darkness,” gives me the creeps as did the section on piratical punishments. The Amazing World of Pirates includes maps (with key,) many different ships, plenty of details on specific pirates as well as on pirates in general. There are also weapons and treasure—very important (LOL.) 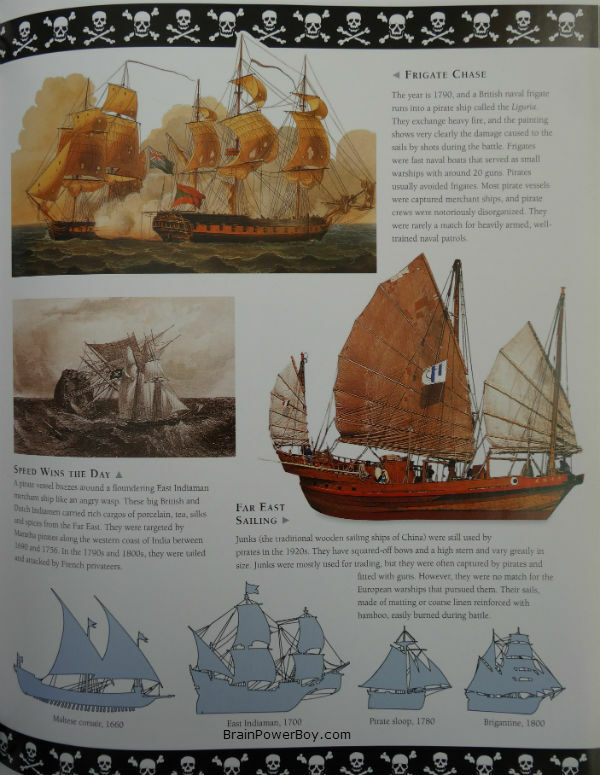 I think you will really love the illustrated timeline at the end of the book as well as the nice glossary. There is violence – we are talkin’ pirates here, matey. That made the book even more interesting for the boys I know and they had some good conversations about it. This is an impressive title. It has everything a boy would want in a pirate book and I should know as at one point pirates were my life 🙂 Has that happened to you? The book is excellent. 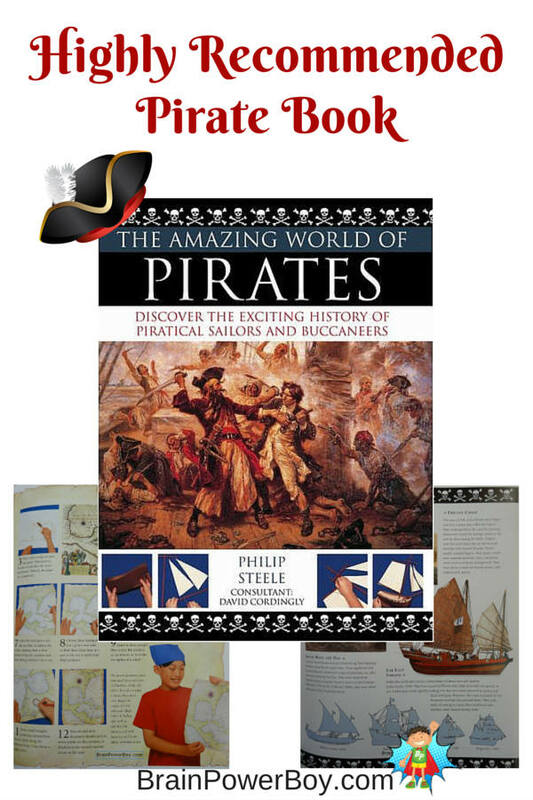 The Amazing World of Pirates is easily one of the top books in the very large pirate book category. Highly Recommended! Check out more boys book reviews here. 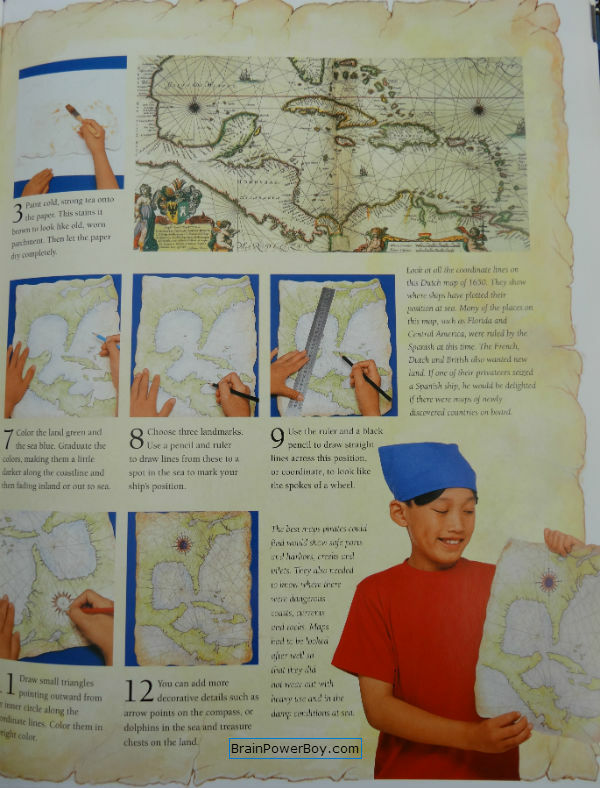 If you boy likes pirates he may enjoy our big pirate unit study. It has everything a pirate loving boy would enjoy.